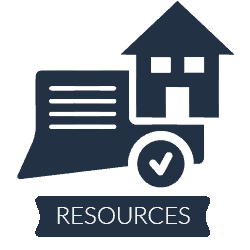 Buy To Let Limited Companies – Why Are Landlords Considering Them? A lot of investors are currently taking the decision to set a limited company for their buy-to-let properties but this won't make sense for everyone. Whilst it is true that corporation tax can be lower than personal tax there are many other charges and complexities involved in this approach. Is There Still An Appetite For Investing In Property In 2017? Buy To Let Limited Companies - Why Are Landlords Considering Them? What Will A Post-Brexit Housing Market Look Like? What Can Go Wrong With Property Joint Ventures? 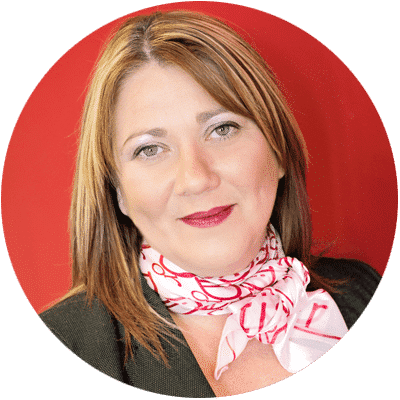 Amy: In light of the tax changes that are being phased in at the moment, I know a lot of property investors are very interested in incorporation in order to avoid individual tax by creating a company which in turn, owns their properties. Can you tell us a little bit about more about that? Kristen: So, it's tax again. Setting up a buy to let limited company is a way to pay less tax, especially if you're a higher rate taxpayer. As an individual, the tax that you pay on your income from rental properties will be added to any other income that you receive. If you have other business interest or you are employed, adding more income to your other earnings is going to push you into being a higher rate taxpayer. And, because you now can't claim tax relief for that higher rate, more and more landlords and investors are looking to the idea of incorporation and at owning their properties as a company. The difference this makes is that the profit the company makes (ie the excess rent that is there) is charged under corporation tax, which is less than the 40% higher rate tax that you would pay if that income was accredited to you as an individual. Kristen: If you are thinking about incorporation you will need to be aware that you will be expected to file returns and there might be a cost involved here. But there can be a benefit if you then sell the property. If you've got capital gains elsewhere and you've used your allowance... The way that capital gains are charged on a company asset is very different to the way is charged on an individual. As I say, as a company capital gains will be charged under corporation tax and will be seen as company profit, rather than attached to you as an individual. There is definitely a reason to incorporate, particularly for those who are higher or additional rate taxpayers. The chances are that by doing this you're going to pay less tax. But, it's not without some effort. Amy: We've already talked about stamp duty and that's something that comes with incorporation. Because, when you're transferring your property from your own name into a company name, it's almost as if you are selling it to that company. Kristen: Absolutely yes. If you already own this great portfolio, it's not as simple as saying, "I'll incorporate". Amy: It's treated like a sale. Amy: And so you will have to pay the taxes associated with that sale such as capital gains and stamp duty. Kristen: Absolutely. It might be that investors will decide that going forward, any new property that is bought will be purchased under a company rather than trying to incorporate their existing stock. Amy: And we don't know if they are going to come after incorporated properties in the future, do we? It's all a guessing game. Kristen: It is. I would be mindful of incorporating for the right reasons, absolutely. Amy: Whether or not to incorporate is something that investors really need to think about. And need someone to speak, somebody like you who has the tools to examine their personal situation in full. Kristen: Yes, it's very, very individual. Because, again, a lot of people will buy property in order to have an income, not just an investment. Property is often bought to supplement an income, right now. Or it might just be the only income that they have. What you have got to bear in mind is that if that money is going into a company you can only withdraw money from that company through PAYE or through dividends at a level that the company can legally support. You certainly can't draw out every single penny. So again, it comes down to individual circumstances and what is the right thing for the individual investor. Yes, there is a lot of talk about buying property with a company and it's seen as the new thing to do. For some people, it is absolutely the right thing to do, but for other people, it could cause them more headaches than it's actually worth. Amy: That's a very important point to make and I'm glad you've made it. I'm mixing in property circles a lot, and I've met a lot of different people, investing in different ways. And, buy to let limited companies - this is a big buzz term at the moment. For a long period of time, a lot of people were looking at Section 24, and thinking. "Oh, it'll be fine, I'll just put my properties into a company and save on tax that way." And then they'd think, "Actually, then I'll have to sell and pay the capital gains tax and stamp duty". It's becoming something of a minefield. This is a different landscape to five or ten years ago. And, it's becoming more and more important to connect with experts and specialist who can help guide you, particularity in a financial or a legal sense. Kristen: I think that the Inland Revenue will always try and raise money, that's what their job is, that's what they're there for. I am always super cautious about the new fads or the new loophole that people tend to jump on. Without proper investigation, people can misunderstand their circumstances and, of course, what is possible. Then you can get into trouble or there will certainly be financial consequences. For me, and I'm obviously going to say this, the best thing to take advice before you make any decisions. It's not to say, don't do it but be as informed as you can possibly be. Spending a few hundred pounds for a couple of hours with an advisor, it's will be of benefit to hear them say, "yes, do it. ", or their advice could stop you from making a large financial mistake. It will be the best money you spend. Amy: Well this it, if you're gonna spend tens or hundreds of thousands of pounds on a property, it's not the time to be without the guidance that you need. Kristen: Absolutely. Most people wouldn't buy property without checking the surveyor first, or having investigations done on the condition of the roof, etc. Go and get your financial situation checked out as well. I have a residential property investment company and want to purchase another HMO for the company. Will I have to pay stamp duty on the purchase at £750,000?